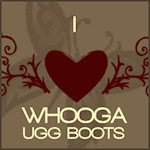 Win a pair of Whooga Ugg Boots! Giving one away every month! Hi, my name is Mary. I am a make up artist,wardrobe Stylist/personal shopper and Fashion Blogger.I'm the ultimate magpie. I love everything sparkly, shimmery, ooh-la-la, and glamourous! 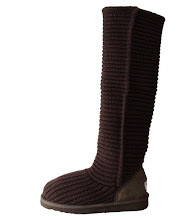 I'm a glitterati with a penchant for louis vuitton luggage, chanel, and haute couture. I'm also entrepreneurial, highly creative, and a go getter. I get inspired by beautiful people and I try to see everything with rainbow colored glasses. I am a non stop happiness seeker. I Believe in fairies. I live by 'the law of attraction." I take interest in the teachings of the secret as well as other religions. In a nutshell, I'm a mixture of so many interests,ideas, inspirations and thoughts. The Universe is my playground. Life is Awesome!